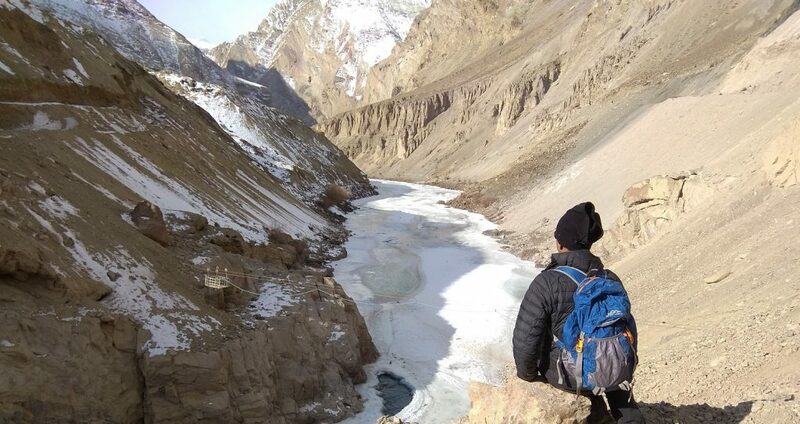 Chadar Trek 2019 is one of the most challenging and also one of the most beautiful treks in the Zanskar region of Indian Himalayas. During winter, Zanskar gets cut off from the rest of the state. The Pensi La, which is the usual route from Ladakh to Zanskar gets snowed out, making vehicular traffic impossible at this time of the year. For years now, the frozen Zanskar river has been the only way for the people of Zanskar to make contact with the outside world in winter. It used to be a busy trade route back in the day. The Zanskari used to visit Leh to trade butter, cheese and animal hide for household items such as food grains and clothes. Though the Zanskaris are self sufficient these days, there are still a lot of the locals who use this route, keeping the tradition alive. 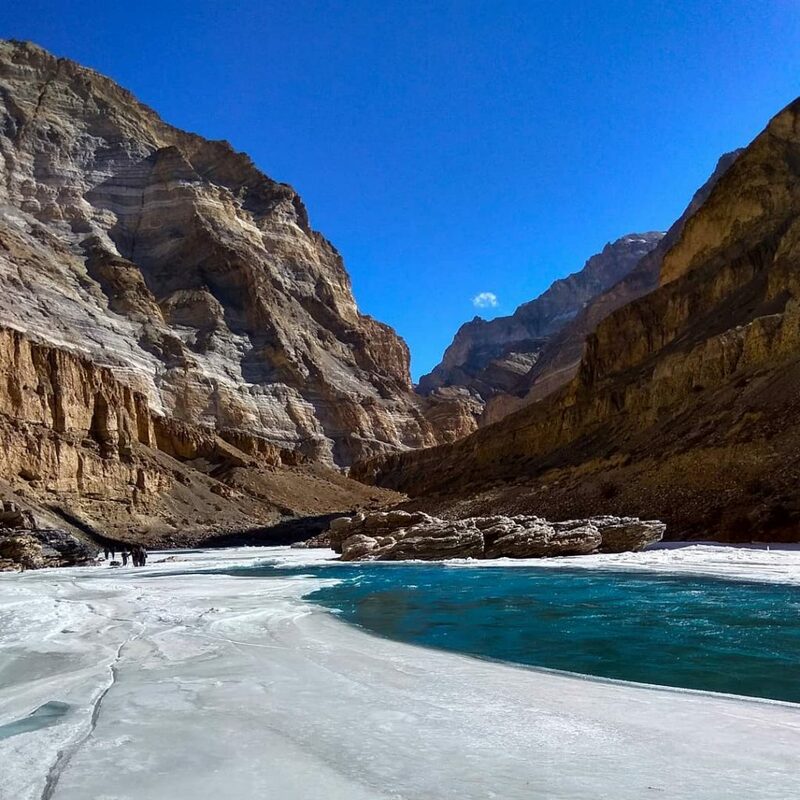 The frozen Zanskar river thus got its name – the Chadar, a magnificent white sheet of ice and snow which flows through some of the most rugged rock faces. And this setting makes it one of the most stunning treks in the world. 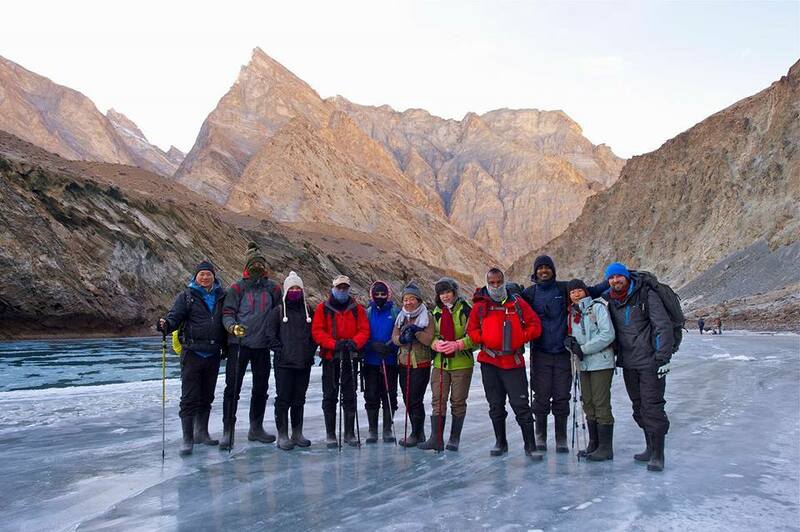 Chadar Trek 2019 is a walk on the frozen Zanskar River where temperatures drop down to -35 degrees at night in winter. The ration and all equipments required for the trek are all transported on sledges. The real magic exists below your feet and you are unlikely to have seen anything quite as remarkable as this frozen river stretching far away out of sight. Watching the spell-binding panorama as you walk will give you memories that you will cherish forever. 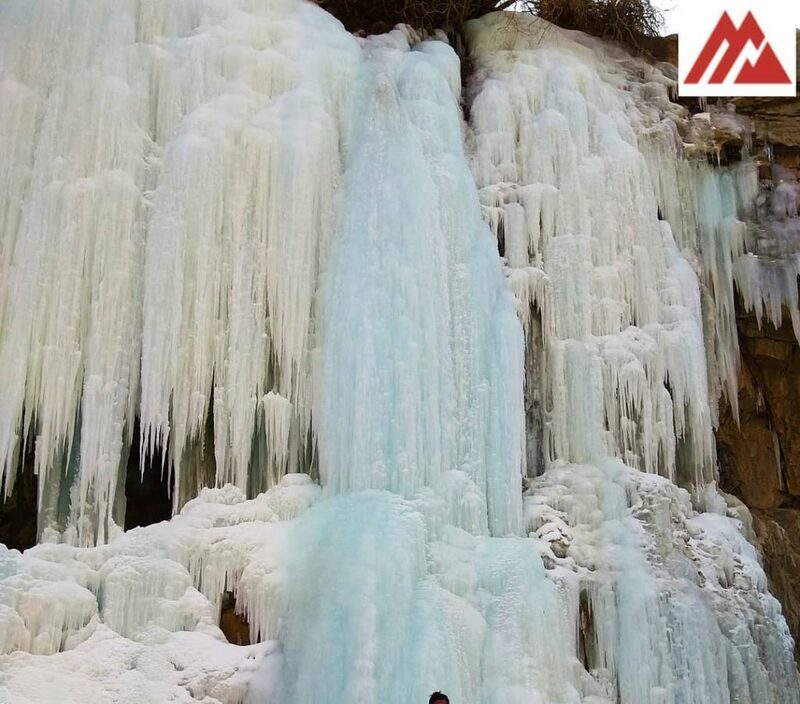 The highlight of the chadar trek 2019 is a beautiful frozen waterfall that you will see near Nerak village. Hidden between two hillocks is this natural formation of a 50ft frozen waterfall masterpiece which can only be seen to be believed. You get to know the culture of the people living in this region up close through the locals you meet on the trek and also our support staff as most of them are from Zanskar. The best time to do the chadar trek now is from January to February 2019. Altitude Adventure India is one of the best chadar trek organizers in India. You will arrive by air as there is no road connectivity to Leh in the winter months. Before you land get you get a beautiful bird’s eye view of the entire city and the layers of snow-clad mountains. Ensure that you carry your woolens in your hand baggage and wear them before you exit the plane as you will be greeted with sub zero temperature even during day time. Leh airport is one of the highest airports in the world and also very picturesque but you can’t click any photos as it is a defense airport. When you exit the airport you have a pre-paid taxi corner on the left of he gate where you need to mention your guest house (Name will be given to you) and the taxi will drop you safely to the guest house. The drive is no more than 15 minutes as Leh is a small town with all guest houses near to the airport. Relax at your guesthouse and explore the market post noon. Get used to the cold weather by going outdoors so that it would be easier for you on the trek if you get acclimatized to the cold. Leh is quite in the winters and very few shops and eateries are open for business. Take a stroll through the colourful Leh market during the day and buy your woolens or any other items if you have missed before leaving home. During your stay, drink plenty of fluids in any form including soups, lemon tea, black tea or just plain water during the day to help your acclimatization. This is your second day of acclimatization. 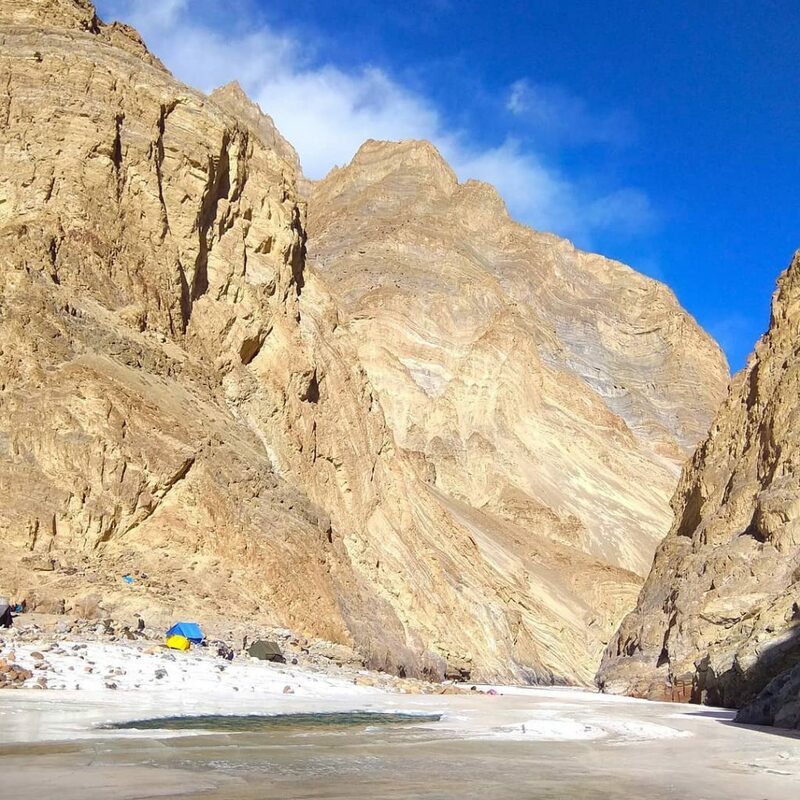 As per the regulations and keeping in mind the health problems that trekkers might face related to Altitude and Cold, anyone doing the Chadar Trek should spend at least three days in Leh for the body to get fully acclimatized to the weather conditions. It is now mandatory and is to be strictly followed by every trekker. Trekkers can spend the day by visiting the places around the city. Drink plenty of fluids in any form including soups, lemon tea, black tea or just plain water during the day to help your acclimatization. This is your third day &final day of acclimatization. From 2019 onwards, the local administrations has made it mandatory for every participant to acclimatize in Leh for 3 days. Today you will undergo a medical examination at the SNM Hospital in Leh prior to the Trek. They will issue a fitness certificate after the examination and only those who have this certificate will be allowed to Trek. This is done keeping in mind the health problems that trekkers might face related to altitude and cold during the Chadar trek. This is for your own safety and it is to be strictly followed by every trekker. Read our blog about preparing for the Chadar trek so that you can clear the fitness test easily. Today we leave in our vehicles and drive towards Chilling and further to Shingra. The drive is quite scenic and you get to see the beautiful Indus river on the way and also the confluence of the Indus and Zanskar river at Nimmu. We cover a total distance of 70 kms by road and It should take about 2 hours to reach Shingra. This is the point where the road ends and you will leave the vehicle, collect your backpack and start walking towards the river. 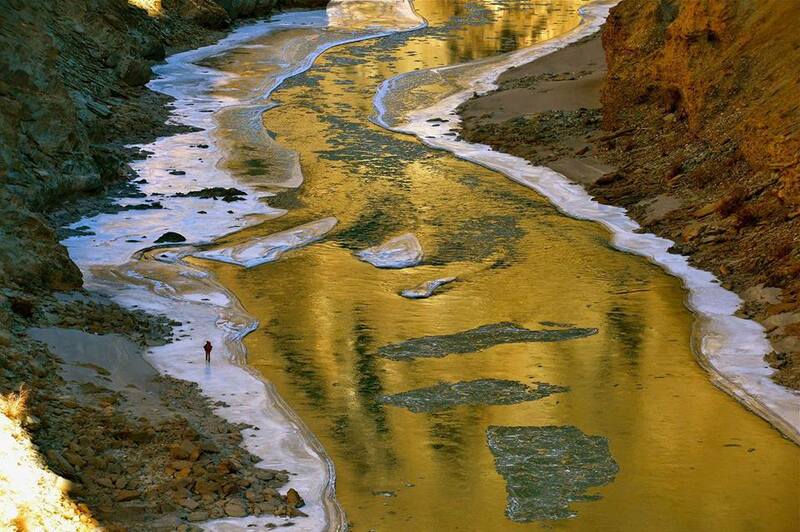 As soon as you put your foot on the frozen Zanskar river you will get excited about your trek. Your leaders will soon give you tips on how to walk on Chadar. It takes a while to get the hang of it. It is called the ‘Penguin Walk’ as you need to drag or shuffle your feet the way penguins do. Walk around as much as possible in this style before the trek begins as it will help you get comfortable walking on glassy ice sheet. As the trek begins, you will fall a few times till you fully understand the different ice forms and patterns. Slowly you will know which surface is brittle and which is solid and you will not fall. Falling and learning to walk on the Chadar is all part of the overall trek experience. After couple of hours of trek, you will reach your first campsite at Shingra Koma. You will reach the camp site before sundown. Ensure that you cover yourself with extra layers after reaching the campsite as cold winds start immediately after sundown. Have your dinner and fill your thermos with warm water before you go to sleep . All liquids tend to freeze in this region given the extreme temperatures, so a thermos is extremely important as you may wake up in the night feeling thirsty. After spending a cold night in the tent, you will be delighted to hear the call for a morning tea from our support staff. The Zanskari people are well known for their hospitality and they will wake up way before you to ensure you have a hot cup of morning tea in the tent. They will also give you a wholesome breakfast and reactivate your energy in the morning in such sub-zero conditions. Today you start trekking towards Tibb cave which is our next campsite. 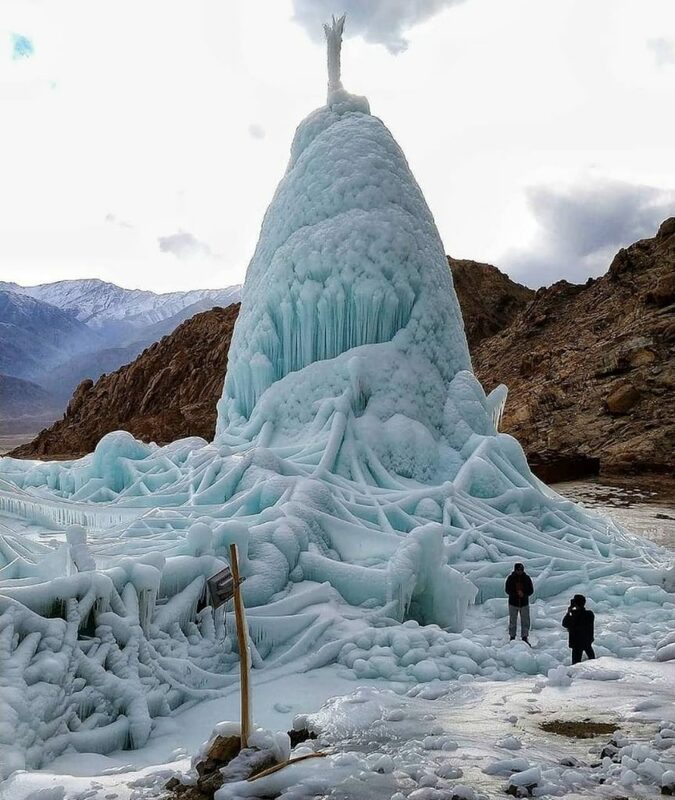 This trek route has some of the most attention-grabbing frozen waterfalls that one can encounter. It also going to be a long walking session, as you will cover a total 14 kms (approx 6-7 hours) on the Chadar. Marvel at the views as you walk in this huge valley with the Zanskar river flowing in the middle. The river is vibrant as it flows by and the color of the water is deep blue. Sometimes you will see water flowing right beneath you under the thick ice sheet. Our staff will cook you a warm meal mid-way to Tibb cave and give you a hot cup of tea after the meal. You’ll be at Tibb around 3 pm. Tibb cave is encircled by dry sand and your tents will be pitched somewhere around the sandy area. Walk around the camp area to keep yourself and also remember to add your layers nearing sundown. Today it is going to be another long day, so you will start early to move towards Nerak which is the most anticipated campsite of the trek. At Nerak you will get to see a wonderful natural formation, a frozen waterfall approx. 50 feet high, which has become iconic with the Chadar trek. We aim to reach Nerak campsite before 3pm, so you get plenty of time at the Nerak frozen waterfall. Hot lunch will be served on your way to the campsite. Nerak is the coldest campsite on the trek where the temperature can down to -35 degrees at night. Trekkers are advised to wear proper layers to stay safe from the freezing cold. Nerak campsite is 15-20 minutes before the waterfall. Once we reach the camp site. we will have some snacks and then make our way to the gigantic Nerak frozen waterfall. Right next to the waterfall is a bridge across the river, which takes you up to Nerak village. If time permits you may go to Nerak village, else marvel at the beauty of the frozen waterfall and click few pictures before heading back to the campsite for dinner. Camp overnight at Nerak. Today, we trace our trace our steps back to Tibb campsite. Even though the route remains unchanged, it’s amazing to see how different it appears while we return. This is because the river can rapidly react to any change in the temperature. By this time the icy river might have taken a completely new form. You may not be able to recognize few sights, as it all seems so different on the way back. You might walk on a glass like surface or patches of slush, depending on the weather. You are now more confident of walking on the way back and there is less probability of falling. Admire the beauty of the valley as you walk confidently looking around and click pictures. On the return journey, observe the local porters and their traditional attire. They wear traditional woolen robes called ‘Gonchas’, with colourful beads around their neck and their traditional hats. It’s fascinating to see the locals swiftly walking on Chadar, as they seem to glide like the wind, absolutely comfortable with the slippery uneven icy surface. Greet them in their local phrase ‘Julley’ which is the Ladakhi term for hello/welcome. You might also catch a few locals singing traditional ladakhi songs while pulling their sledges and enjoying the journey. Reach Tibb Cave and camp overnight at Tibb. Today we have along walk, so we start early afer having a hot breakfast for Shingra Koma. En route you will get a chance to see high mountains and may get to observe pug marks of wild animals like ibex and foxes. If you are lucky enough, you just might spot a snow leopard; and in any case you don't, then at least be sure, you would be watched by them. Today is your last day at the Chadar and a feeling of missing this beautiful landscape will slowly creep in and you would wish that the trek doesn't end. When you reach Shingra, it is time to say goodbye to the Zanskar Valley. Vehicles are waiting for you to take to Leh. Some trekkers want to celebrate and instinctively take a dip in the river. This is best avoided as you may not be used to such cold water. As you head back to the hotels in your vehicles you cant help but remember the entire experience like a movie projection in front of your eyes. Reach Leh and stay over nite at your guest house. Checkout 10.00am from Leh. Fly to your desired destination. How safe is the Chadar trek? We have designed our itineraries to allow for adequate acclimatization in Leh, yet there are chances that you will feel the effects of altitude sickness and oxygen deprivation while on this trek. 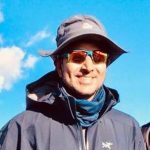 Please be aware that your trek leader may deem it unsafe for you to continue trekking at any time, and arrange for you to return back to Leh. 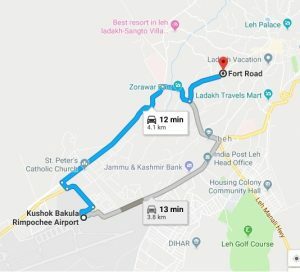 From 2019 onwards, the local administrations has made it mandatory for every participant to acclimatize in Leh for 2 days and on 3rd day undergo a medical examination at the SNM Hospital in Leh prior to the Trek. They will issue a fitness certificate after the examination and only those who have this certificate will be allowed to Trek. This is done keeping in mind the health problems that trekkers might face related to altitude and cold during the Chadar trek. Read our blog about preparing for the Chadar trek so that you can clear the fitness test easily. Our trek leaders will conduct routine health checks at all camps to measure oxygen saturation, and pulse rate. Altitude Adventure reserves the right to exclude any trekker from continuing the trek without refund if the trekker’s vital readings are below accepted norms. This is a high altitude trek with rough, rocky and snowy terrain. It is important that you are a fit and confident walker in mountain terrain, able to complete certain distances by yourself within a reasonable time. 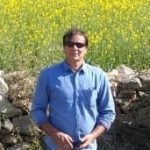 Altitude Adventure reserves the right to send a trekker back if, in the opinion of our trek leader, they are unable to complete the itinerary without requiring exclusive assistance. Please realistically self-assess your fitness and suitability for this trek before registering. 05 Nights tented accommodation on triple sharing basis while on the trek. Tent (Triple Sharing), Sleeping bag, Sleeping Mattress, Tent Kitchen & Dinning tent, toilet tent, utensils. Any expenses arising out of unforeseen circumstances like strike or any other natural calamities or any emergency evacuation expenses. - 4 Pair of cotton socks. 3 pairs of woolen socks. - People who were spectacles- Should avoid contact lenses and use photochromatic glasses instead. The Chadar Trek is a moderate trek suitable for first time trekker with basic to above average fitness. The trail is fairly laid out path and doesn’t not have any steep ascends or descends. Water is easily available throughout the trail. But, at high altitude as the air gets thinner oxygen is less abundant and you will find difficult to breathe. However, the human body has adaptations to altitude that allow it to partially compensate for the lack of oxygen provided you give sufficient time to acclimitise. We have given 3 days in the itinerary to sufficiently acclimatize your body to high attitude and weather conditions. Fitness Required: A high altitude trek in the Himalayas requires considerable fitness. Your body needs to train itself to process more work with lower levels of oxygen. Cardiovascular training before a trek is critically important. Though the trek is in the Moderate category prior training is mandatory before attempting the trek. Registering for the trek is an understanding that you will undertake the mandated fitness training. Altitude Adventure has the right to reject candidates who do not meet our eligibility requirement at the base camp. 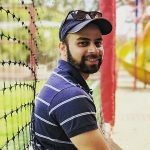 Our trek itinerary is planned in a way that on an average you have to cover around 12 kms in 8 hours although there may be slight variation depending on the terrain. This works out to roughly 1.5 kms per hour which is equivalent to walking in the plains at 6 kms per hour. Here is the training schedule to prepare for the trek. Stretching: Stretch your hamstrings, quadriceps, hip flexors, lower back muscles and shoulders. If you are somebody who prefers cycling over running, then try to cover 22 km in 60 minutes. Note: Make sure your GPS is on when you record your run. Strength Training – There is a lot of trekking distance that you will cover in high altitude carrying your backpacks. It could be taxing for your legs. For this, strengthening your legs will help. You can do some squats to strengthen them. Start with 2 sets of squats with 8 squats in each set and work towards 4 sets of squats with 20 in each set in 4 weeks. If a trek is called off by us at the last moment due to a natural calamity/ unforeseen circumstances (like rains, earthquake, landslides, strike, bandh, curfew, etc), Altitude Adventure India will issue a trek voucher for the full amount. The voucher can be redeemed for the same trek or another trek in the next one year. Cancellations prior to 30 days from the start of the trek --full refund. Cancellation between 30 days and 20 days to the start of the trek --50% refund. Cancellation less than 20 days to the start of the trek --no refund. Refunds will be processed within 7-10 working days from the date of cancellation. In case of refund, there will be a deduction of 5% (bank charges) from the total fee you have paid. If you wish to cancel your trek, please e-mail us on [email protected] or fill the Trip Cancellation form. Cancellation requests are not taken over phone. When is the best time to go for the Chadar Trek ? 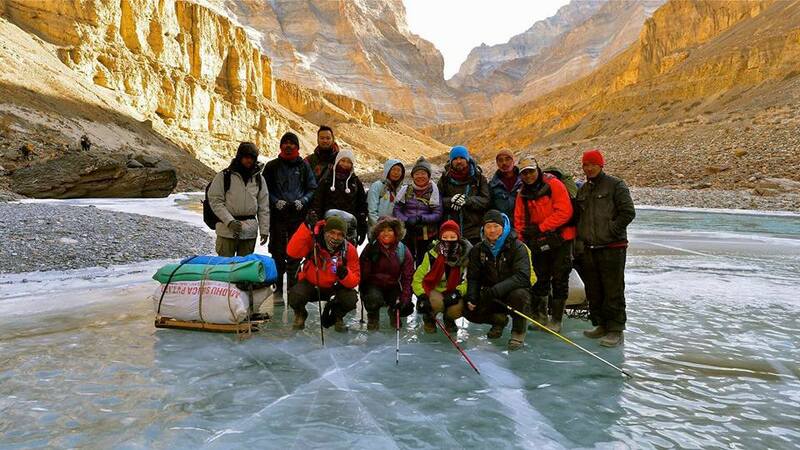 The best time for Chadar Trek is in the months of January and February. 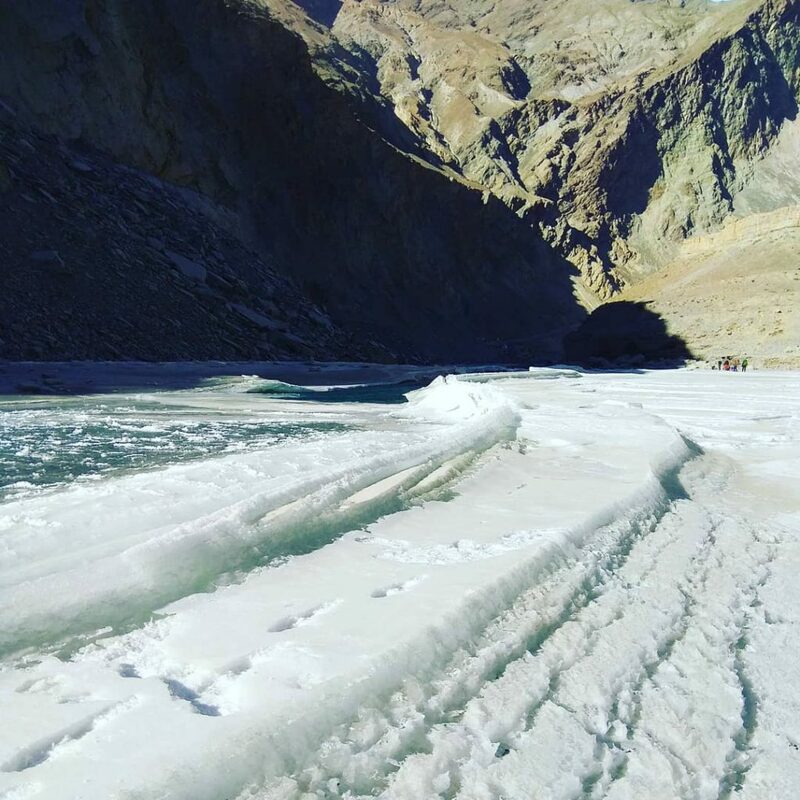 This is the time winter is at its peak in Ladakh and it freezes the Zanskar River and we are able to trek on this frozen Zanskar river. Chadar Trek difficulty level is considered as Moderate but the weather conditions make it a challenging trek as the temperature oscillates between minus 25 degree Celsius to plus 5 degree Celsius. 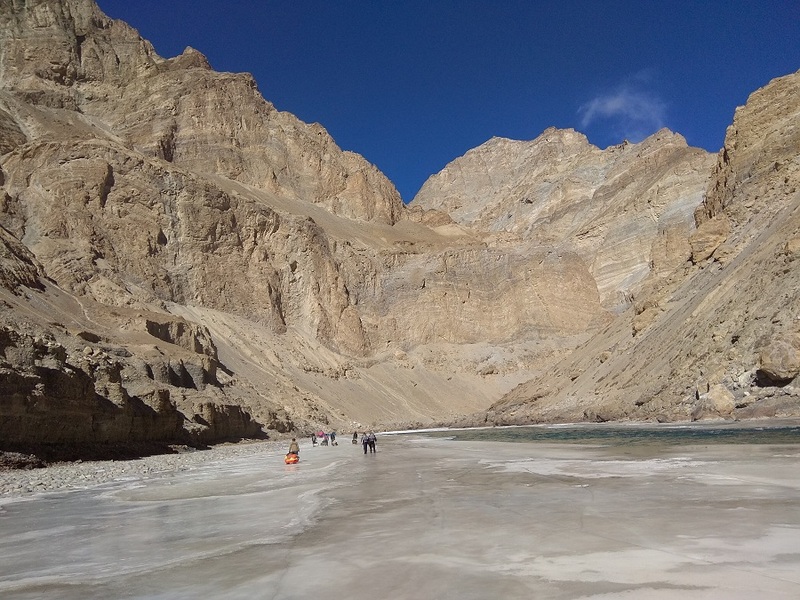 Though the terrain is fairly gradual as you will be trekking over the frozen Zanskar river which is a flat walk but in case of broken Chadar you will have to climb over some boulders or at some places get into ankle deep icy cold chilling water. If you have proper gear for such situations, like gum boots for walking in ankle deep water then this is not much of a problem. Chadar Trek temperatures during the day will be -5 to -10 degrees and during night it will in the range of -15 to -25 degree. These readings may sound scary but it just takes few days to get acclimatized to these temperatures. If you have layered yourself with proper clothes then you need not worry. During the day you are walking so you will be warm and during the night your will be safe in your tent and sleeping bags. Normally our trek are designed in such a way that we reach our camp by before 4 pm and on an average trekking distance is roughly 10-12 Kms each day and it takes around 6-7 hours for an average trekker to cover that distance. Diamox helps in acclimatization at high altitude. It is absolutely safe to take Diamox and we have some trekkers who start the dose even before reaching Leh when they depart from their home. In case you havent taken beofre arriving at Leh, we will check your oxygen level on arrival. If your reading are not normal then we may advise you to take it. All our treks are led by experienced trek Leaders. We try and hire from local people only so that they have good opportunity for employment and they know the terrain and conditions exteremely well. Other than a Trek lead we in our team we will have local Guides, Cook, Helpers and Porters from the Zanskar region. Normally our group size is around 15-20 trekkers only so that the entire group can get along very well and have a memorable trek with us. Mountains are much safer then city roads and we say it with conviction. We have lots of solo female trekkers who join us. We ensure that only female trekkers share the tent with other female trekkers. - Backpack (50-60 Ltrs) with Rain Cover - Trekking Shoes. (Preferably Quechua Forclaz Hiking Boots) - Gumboots (Can be purchased in Leh) - 4 Pairs of Full sleeve shirts/T-Shirt - 2 Pairs of Track Pants - 1 Pair of Waterproof Pant - 4 Pair of cotton socks. 3 pairs of woolen socks. - 1 Full Sleeve Fleece - One Down Jacket - 1 Wind Jacket - 2 Pairs of Thermal Inner - 2 pair waterproof hand gloves - 2 Pair woolen Gloves - 1 Neck Warmer - Sun Cap - One Scarf - Light towel - Lip Balm - Cold Cream & Sun Screen (SPF 40+) - Water Bottle 1 Lt – Thermos - Headlamp or torch with a fresh pair of batteries - Personal Toilet Kit and toilet paper - Personal Medicine Kit - Dark Sunglasses (U/V protected) - Walking Stick (At least one) - People who were spectacles- Should avoid contact lenses and use photochromatic glasses instead. Can i offload my Backpack? We expects all trekkers to carry their own backpacks. When you are in mountains you never know what situation you will be in and that is the reason we suggest our trekkers to strictly carry the Chadar Trek essentials list. Yet, if for some reason you are unable to carry your backpack, you can offload the same by paying an additional charge. Backpack offloading charge is Rs. 700 per day. Partial offloading is not allowed. You have to pay for all 5 days i.e 3,500 + GST. The backpack cannot weigh more than 9 kg. No suitcases/strolleys/duffel bags will be allowed. Last minute offloading is not allowed on this trek. You will need to book offloading prior to the trek. Good trekking shoes and Gum boots are must for Chadar Trek. Gum Boots are easily available in Leh market from Army Canteen shops and almost all trekkers to Chadar trek buy them from these shops. They cost around Rs 800-900 for a pair. You may buy regular trekking shoes from decathlon or any sports store near to you before coming to Leh. Due to the extreme temperatures it is advisable to have 3 people in one tent. We use three person tent and for couples it will be single tent only. Good physical fitness as well as mental fitness is required for Chadar trek. To get a optimum level of fitness you can go through our article- How to prepare for the trek. What is the food menu during the trek ? We server wholesome and nutritious Breakfast, Lunch, Dinner and Evening Snacks. Normally it’s all veg to keep off wild animals but we do serve eggs. Do we get safe drinking water on the trek ? We use natural Himalayan spring water and it is considered absolutely safe and clean. We carry First aid kit and normal medicines with us and in case of other medical emergencies we rescue the trekker till the nearest road head. No doctors are available nearby. A vehicle has to be arranged till Leh to get medical facilities. Additional costs are involved for emergencies and they will be borne by trekker only. Before the trek it’s your responsibility to get a medical fitness certificate. We reserve the right to change the itinerary depending upon the weather condition and other factors. If any extra cost arises it will be borne by trekkers only. Please note that this is a trekking trip into the remotest region & harshest conditions, where many unforeseen events may force us to change the itinerary. 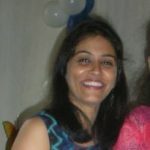 In such cases, we or your trek leader will suggest the best alternative similar to your original itinerary. Yes Chadar Trek can be customized. If you would like to travel independently, you are invited to choose any of the trips at your convenient time frame for any number of people. Cost for private trip is fixed on the basis of group size, duration and trek style. Send us an Email on [email protected] for Customised treks. We will offer you an alternate trek of equal no. of days depending upon the weather conditions. All the arrangements for the tour are pre-planned and prepaid. In case of not completion of the tour due to any reason whatsoever there will not be any refund for any unutilized services. Any extra expense due any alteration has to be paid extra. Very helpful support team. When i called out at night to help with a small issue they came readily. The team was very fit and perfectly capable. Till the end of the trek at Chilling, the trekking team spent good time with us. Very nice people. I had to offload my baggage and though they had mentioned restrictions on size and weight, i found they are very flexible. In the end i paid very less for the offloaded bag. But they are very strict with fitness requirements and this is good for us only. I look forward to doing more treks with AAI. 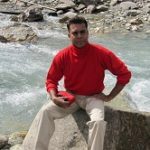 This Chadar trek was one of the most memorable trips of my life and the credit i will give to Altitude Adventure India. The arrangement at such extreme climatic conditions was just superb. Our trek staff were very caring and supportive. Food was fabulous with hot lunch provided everyday on trek. I would like to specially thank our cook for such tasty food. Thoroughly enjoyed the Chadar trek. This was my first winter trek and I loved the experience of walking on a frozen river. Arrangements by Altitude Adventure India were perfect given the cold conditions. Our trek leader and guide was great, making the trek memorable. I liked that the team and people are not very commercial and the support team really cared for giving us the experience of our lifetime at the Chadar. I really thank them and definitely my next treks will be with Altitude Adventure India. Keep up it up guys…Thanks!! Altitude Adventure India is by far the most experienced and organized and trek company for Ladakh region as far as i I know. If Ladakh and Kashmir is on your mind then they are the best, also they have routes throughout the himalayas. Jon for heir treks without any hesitation.